Gandhi will be officially handed over the certificate of his election as the party President on 16th December at the AICC headquarters. NEW DELHI: Rahul Gandhi was declared president-elect of the Congress on Monday, marking a smooth change of guard in the 132-year-old party. He will formally take over from his mother Sonia Gandhi, two days before the crucial Gujarat Assembly election results are announced. Sonia became Congress president in 1998 and has been the longest-serving party chief. Rahul was made party vice-president in 2013. There had been major speculation over his elevation since the party lost the 2014 national elections. He faces the immediate challenge to win four Assembly polls in Karnataka, Rajasthan, Chhattisgarh and Madhya Pradesh next year and prepare the party for the 2019 Lok Sabha poll battle. Gandhi will be officially handed over the certificate of his election as the party President on 16th December at the AICC headquarters, according to news agency ANI. 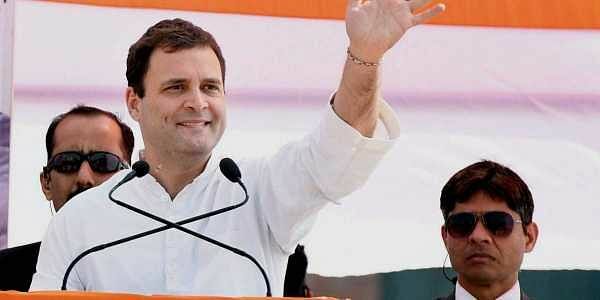 Though the result was a foregone conclusion right from the day Rahul filed his nomination on December 4 and was the only contestant, Ramachandran termed it a “historic day” and thanked Sonia for guiding the panel through the poll process.The announcement came on a day when Rahul campaigned in Gujarat. The Chief Election Commissioner will hand over the certificate of election to Rahul on December 16 at the party’s national headquarters here. Conducting the elections was not an easy job, said Ramachandran, adding that 42 provincial returning officers were deployed, supported by 71 assistant PROs and by 583 district ROs. These officials were all from other states to ensure an unbiased and impartial election, he said.Providing details of the party organisation, he said there are 8,86,358 Booth Committees, 9,418 Block Committees and 930 District and City Congress Committees in various states and Union Territories.Elections were held in more than 80 per cent of the booths as Gujarat, Himachal Pradesh, Karnataka, Meghalaya, Nagaland and Tripura would have Assembly elections this year and in 2018, he said. As soon as the announcement was made, Congress workers erupted in celebrations near the party office in Delhi. Sidelined AIADMK leader T T V Dhinakaran greeted Rahul Gandhi for his elevation as Congress President, wishing him a 'sterling' tenure in a tweet. Congratulations to @OfficeOfRG on being elected as Congress President unopposed. Wish you a sterling tenure in the footsteps of the illustrious past Presidents of the more than a century-old Congress party. Later in the evening, Prime Minister Narendra Modi took to social media to congratulated the newly elevated Congress chief.